Flores, Indonesia has many things to offer. Started from distinctive cultures to raw beauty of wildlife, you can enjoy your vacation to the max. If you are looking for travel destination where everything looks beautiful and stunning but without too much crowds of tourist then Flores is the right choice. Flores is located in East Nusa Tenggara, Indonesia. The access to reach the place is easy. During your time in Flores, you can either choose air travel or land travel to explore the island and the surroundings. Caves, lakes, traditional villages are there and ready to be explored by those who seek for thrill, adventure, and fun. Swimming at Rangko cave. Instead of swimming at the beach, you can go swimming at natural pool with cold and clear water containing large amount of salt at Rangko cave. This is a fun way to have healthy bath. 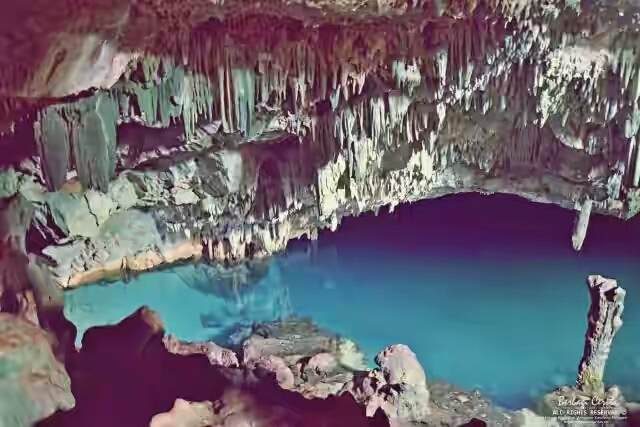 You will also find stalactites, stalagmites, and hidden fossils around the cave walls. Enjoy your time relaxing in the natural pool while looking at natural arts decorated the cave wall. Enjoying beautiful view of Spider web rice fields at Golo Cara village. This may be the only place where you can see rice field in unique shape. According to the locals, it is not made that way for viewing pleasure. It is made based on the status of the owner of the rice field. The larger the family, the larger the portion of the rice fields given. As the result, it looks like a spider web due to different portions. Watching sunset with the company of hundreds flying bats at Kalong Island. There is mangrove forest at Kalong Island where you can enjoy watching sunset while watching thousands bats flying in the sky. Sunset is the time when bats flying out from the forest. The view of sunset and flying bats makes everything looks more dramatic and stunning. Meeting roaming giant lizards at Komodo National Park. This is the highlight when you visit Flores. This modern version of Jurassic Park is where you can meet Komodo, extinct monstrous creatures. The modern dinosaurs are dangerous yet beautiful. You are not allowed to be too close with them. Aside from the Komodo, the thing to enjoy is the stunning view of the surroundings. Canoeing through the rainforest at Cunca Wulang Waterfall. This is also where you can discover beautiful waterfall flowing stunningly. While canoeing through the rainforest, you can stop by at the water fall and soaking in natural pool to relax your body. The sound of chirping birds and breezing trees can make you feel at ease and peace. Want to try diving? For professional divers, exploring many dive sites is a challenge. Is it a spot with strong currents, underwater volcanoes, all of which are challenges for professional divers. There are moments when professional divers also have difficulty exploring certain dive spots. Bali has become one of the most sought-after diving destinations in the world. They come from various worlds enjoying diving activities in the best way. For most people who are first on holiday in Bali, it’s time to find lots of information about dive and best scuba diving centers in Bali. In addition, food centers, accommodation, transportation, and other tourist destinations are also important that you should look for. Wherever you dive, best scuba diving in Bali always brings different sensations and challenges for you. The Buleleng Dive Festival held in 2016 has caught the world’s attention. Enjoying the underwater beauty of Buleleng is a magnet for world divers. The charm of western Bali scuba diving offers other exotic sides. This is one of the best scuba diving in Bali that has become a world of conversation. The god’s garden in the Pemuteran Sea is not like the sea in general. Pemuteran marine park presents something different. 33 deities that were drowned and home to underwater species were also used as unique photo spots. No need to be a professional to enjoy the beauty of the underwater Pemuteran. 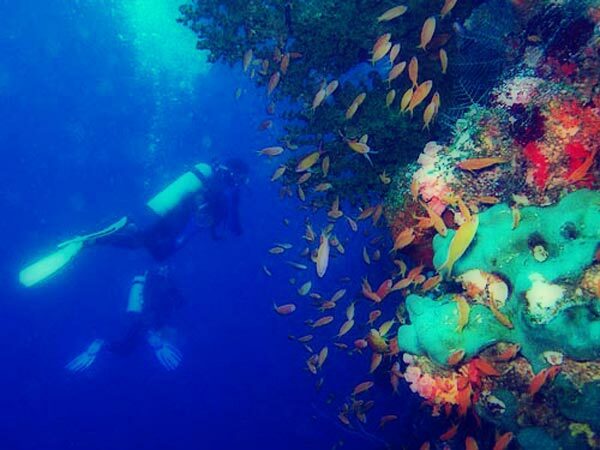 Best scuba diving in Bali can be explored with a depth of 10 meters. You will enjoy coral reefs in various forms. Apart from diving, you can see turtle breeding in the nearby village. This is the perfect dive destination for you and your family. It is not wrong if you visit one of the best scuba diving in Bali, especially on Menjangan Island, West Bali. Although the distance from the area of Kuta or Seminyak is quite far, the underwater scenery of Menjangan Island is amazing. This is the best scuba diving in Bali that saves one amazing hidden paradise. Diving activities following the cliff lane have a depth of 20 – 60 meters and even more. At a depth of 10 meters, you can see the coral reef and the type of gorgonial fanfish. Has calm waters and when certain weather conditions rarely see able to reach 50 meters. If Bali has Ubud as one of the heart of art tourism, North Bali is the best for diving. Amed and Tulamben are popular spots and favorites of world divers. The presence of the USAT Liberty shipwreck which sank during World War 2 became an attraction for divers. The attraction and different sensations in Amed and Tulamben can make divers reluctant to come out of the surface. It is common for international tourist choosing to stay in Bali for long term. It can be for weeks to months. Well, there are many things about Bali that make you want to keep exploring the places. That’s why international tourists stay longer than their plan. However, this is not a problem because you can pick accommodation to your liking. For long term vacation in Bali, it is recommended to choose villas. There are many villas you can choose during your stay in Bali. Started from humble to luxurious villas, Bali has it all. As mentioned earlier that villa is better as a place to stay for long holiday. You can stay for months in a villa you rent. The longer you stay, the lower the rent. Thus, you won’t feel like being robbed by spending long holiday in Bali. Choose villa based on your need and financial situation. It is also recommended to choose villa based on the location. If you like venturing around on foot, might as well choose villa based on its walkability. Choose villa that grants you easy access to essential spots such as beaches, restaurants, shopping centre, etc. It is recommended to book villa for long term at least a month before your arrival in Bali. Bali has high demand in tourism. It is common to villa rentals to be unavailable for sudden booking. Thus, make sure to plan everything ahead of time. Therefore, you still have many options left. Choose villa for your long term vacation in safe areas especially if you are travelling solo. Choose a villa around safe neighbourhood. Thus, you will feel safer during your stay in Bali. Popular and safe areas to stay in Bali include Canggu, Ubud, and Seminyak. If you want to be close to the airport and the heart of Bali, you may choose to stay in Denpasar. However, it has different vibe than Kuta, Ubud, or Seminyak because it is the capital of Bali. During your long term vacation in Bali, make sure to make the most of it. Don’t spend your time in your room. Instead, you can venture around Bali because there are many things to find. You can walk around the neighbourhood to interact more with the locals. You can learn more about the culture and how they live. You don’t have to worry about language barrier because most of the locals can speak basic English. Living expense in Bali is affordable as well, so spending long vacation in Bali is totally worth to try. Hammock camping is no longer the new thing for most of the travellers. But for the youngsters, it can be so strange since they have not been seen and heard many things in life. As it is a fun activity to be executed at the outdoors, I think that hammocking is really representing the joy of the youth. Using the hammock while camping at somewhere for the youngsters can also bring more advantages. They can be introduced to the ways to survive at the wildlife since earlier, as an exercise at the open nature that can contributing to their growth both physically and mentally, let them know about the environment, encourage the youngsters to travel alone and many more benefits they can get. Hammock camping is really for many of us, no matter how young or even old are you. As long as you are knowing about it and have some curiosity, you can always enjoy how fun it is to sleep in the hammock while camping in the fresh nature out there. 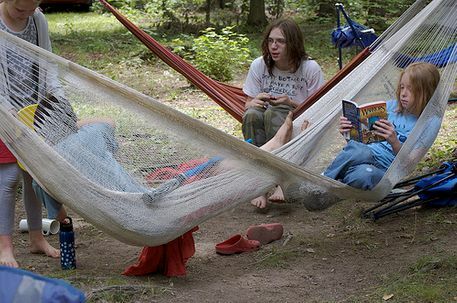 Do the youngsters are safe to be at outdoor in a hammock camping? First thing first, if you have a teenager, it doesn’t mean that you should have permit her to experience the hammock for camping faraway at the land that yourself don’t know where it could be. Camping itself shouldn’t be at the wild like into the deep of forest or when hiking up to the mountain. That surely will be too much for the youngsters. Let them have fun without have to spend more time and energy in reaching the spots. 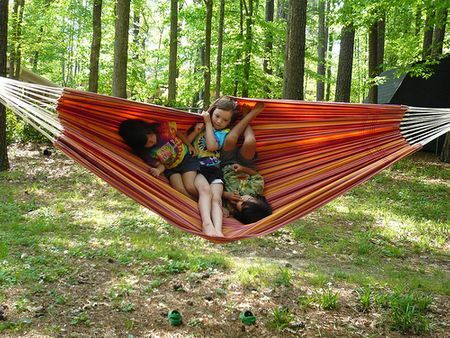 Hammock camping can be experienced at places as simple as the backyard of your house or at the nearby park in town. You can also finds a map about the camping ground sites in your area especially when it is not the time for the hunting season to avoid the bullets or the arrows, etc. If the school will get the camping as one of the extracurricular activity among the others, chance that the students will really have a good memory about the school. I believe that many of them will be enthusiastic about participating in the camping idea where being somewhere else, out of school, with their friends or classmates can be the great thing to do for sometime. Imagine if there will be one bringing the hammock in bigger size that can be enough for 3 or 5 people inside, that can really be one of the out of control thing that the teachers will be deal with. There will be so much fun to swing around gently together among the trees and at the same time, the bonfire is warming up all of the students. A night of hammock camping at out there can really be the unforgettable beautiful thing in life of a youngsters while the teachers can still teach them about anything. In case that extracurricular dream activity can’t be happened, you can’t lose anything since using the hammock can be anytime you want, including when you are traveling in a holiday season. Camping can always be experienced when you have reached the destination even if there won’t be any friends with you. You can always setup the hammock at the beach you are visiting in the weekend and enjoy swinging on it in the morning or when the sun is setting in the west. Even you could always makes it as your own accommodation rather than paying for the hostel at the beach. But if you can’t really getting yourself anywhere, using a hammock for camping is only has one requirement which is you can find the stands so you can start setting it up. Camping itself shouldn’t be faraway land as I have been told before. It can also be at your house’s garden or even inside your house if you are too lazy to steeping out the door. There won’t be any prohibition on that. So far, I think that many of us will be agree with me that the youngsters are also deserve to have the unforgettable experiences in a hammock camping, no matter how crazy they will be sometimes. If you are with me in that, share this post to reminds the others. Bali has unlimited places of interests you can visit during your vacation. Thus, choosing Bali as your next travel destination will be a good choice since there are many things you can do to have fun in the Island of Gods. For recommendation, Seminyak is great for your stay in Bali. There are various accommodation to help you stay comfortable during your holiday in Bali. Seminyak also grants you great access to various places of interest including Ngurah Rai international airport, beaches, restaurant, cafes, spas, and many more. Ku De Ta – This place has no extraordinary thing to boast around. However, this is like a must to go place when you are in Seminyak. It is essential to visit this restaurant at least once when you are in Seminyak. This beachfront restaurant offer you the best foods made from fresh local ingredients. This is not only a simple restaurant because it has bar and beach lounge to help you loosen up. Bali Gift Spa – Holiday in Bali is not complete if you don’t pay a visit to one of its spas. Bali Gift Spa is located in Seminyak offering Balinese traditional massage technique fused with Western methods. There are various menu you can choose such as facials, pedicure, manicures, or relaxing massage. Nyaman Gallery – For art lovers, visiting this gallery while in Seminyak is a must. This is where you can find contemporary art of local and international talents displayed. The collections include glassworks, clothes, jewelry, photographs, sculptures, and paintings. It is highly possible for you to lose track of time while indulging your artistic soul. Pura Petitenget – Seminyak is not only about high end bars or luxury villas. You can also trace ancient Balinese culture through Pura Petitenget. This is a beautiful sea temple built in highly artistic architecture. There are things you can enjoy while visiting this temple such as dragon-shaped staircase, large courtyard, fabric adorned shrines, and pavilions. This ancient sea temple was founded in the sixteenth century. 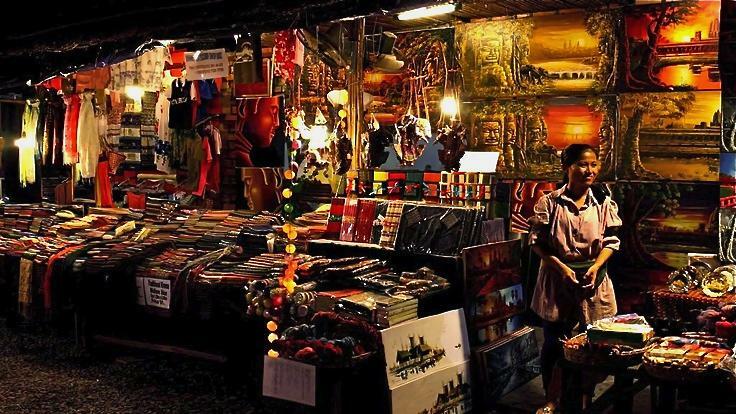 Seminyak Night Market – If you think darkness can stop Bali from being attractive place to venture then it is wrong. At night you can visit this market and indulge your appetite with the finest culinary creations. Satay, nasi goreng, mie goreng, and other authentic Indonesian dishes can be found here. Potato Head – This is a perfect place to chill and hang out with your friends. Tropical atmosphere, delicious foods, and best views are what you can enjoy when you stop by this place. This place consists of three on-site restaurant, three bars, and infinity pool. All are overlooking the ocean, giving you the best taste of the finest of Bali. It is common to spend your holiday at peaceful place closer to nature. That way you will be able to absorb positive energy and empty your mind. You will feel recharged and filled with good spirit. However, staying at completely secluded place sometimes can be boring as well because you want somehow visit popular places once in a while during your peaceful retreat. To answer your need of this kind of holiday, you need to book one of Ubud villas with best access. Ubud is the best place to have silent retreat because most villas are situated in the middle of villages and beautiful nature. However, it is not hard to reach nearest restaurants, beaches, or other attractions as well. Villa Splendid – This villa has five bedrooms. Each bedroom is surrounded by full-length glass window allowing you to enjoy the best view over the valley. One of bedrooms is equipped with balcony completed with two hanging chairs. There is also tropical garden overlooking the jungle valley. This family-friendly villa is also completed with swimming pool attached by the garden. There is also basketball and badminton area in the garden to let you have some fun with your kids. The location of this villa is only 15 minute walk away from the center of Ubud, granting you easy access to popular places. Villa Lora – This villa is perfect for private and romantic getaway because it only consist of one bedroom. Spending your time in this villa allows you for serene retreat. Either you spend your holiday alone or with your partner, this villa gives you peaceful vibe to make the most of it. The interior design is complimented by tribal artwork and wall paintings. It is located in quite village in Ubud, Bali. It is situated 2km away from Ubud Monkey Forest. However, you can still reach popular places in Ubud with ease. There is private plunge pool and completed with Balinese daybed. It is attached to the garden filled with beautiful greeneries. And rattan reclining chairs. Villa Lanka – This villa has three bedrooms king size beds and reading chairs. Each bedroom is completed with private bathroom and rain shower. It is designed with open-plan living concept. The swimming pool is surrounded by luscious greeneries perfectly, making it looks like a hidden paradise. The interior design of dining and living room is elegant completed with oriental artwork and handmade textiles. This one of Ubud villas with best access is situated only 2km away from Ubud Monkey Forest. This villa has great access to fine restaurants, Ubud Market, Ubud Palace, and many more interesting places to visit. Bali is magical place where everything can come true. Started from stunning views to dreamy sites, Bali has everything you need for enjoyable and memorable vacation. Choosing the best accommodation in Bali is not that difficult as well since there are many of them varied on size, service, price, and location. You just need to know what you want and you can just book a room or two for your holiday in Bali. Instead of choosing hotel from its price, why not choose it according to its uniqueness? There are many unique hotels you can book for your stay in Bali. Accommodation is important for your holiday. In Bali, you can get any type of accommodation started from humble guesthouse to prestigious villas. However, there are also hotels with unique flairs and points for you to enjoy during your holiday. This way, you can make the most of your dreamy getaway. Here are best hotels with unique, dreamy touches to book. This is actually younger sibling of the famous Hideout Bali. This hotel is made from bamboo materials. The furniture are also made from bamboo craved by local craftsmen. This hotel stand next to a little river stream in the rice fields of Selat. This is where you can experience the finest of Bali and its nature. You can also relax in under rain shower in the middle of tropical greeneries. This is the trendiest thing in travel you can not imagine before. This is where you will stay in the bubble floating on the beach. When you wake up, the sand and waves will greet you along with stunning sunrise. 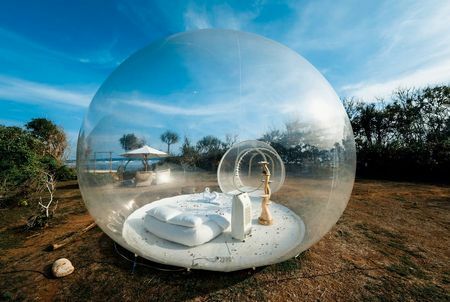 The bubble tent is transparent, allow you to overlook your surrounding freely. Each bubble can fit two people. You don’t have to worry about toilet or storage because everything has been accommodate to your comfort. This water villa allows you to live like a mermaid during your holiday in Bali. The pool will greet you soon as you enter the villa. You can freely soak your feet in the water while enjoying stunning views of beach and starry night sky from cozy bean bags. This is where you can sleep next to the king of the jungle, lions. You can also greet friendly zebras, elephants, and rhinos right at the balcony. There is an in-house where you can enjoy your meal with lions as your companion. The safari experience is memorable in this place that it suits perfectly with families or lovers. This hotel bamboo cottage nestled in between rice paddies. Woven bamboos are what made the ceiling and walls with. You can enjoy your breakfast in the patio overlooking the rice fields. This is suitable for private and peaceful getaway when you expect to release your stress. You can also greet resident goat when you step out the cottage. You can even have breakfast served with fresh goat cheese. 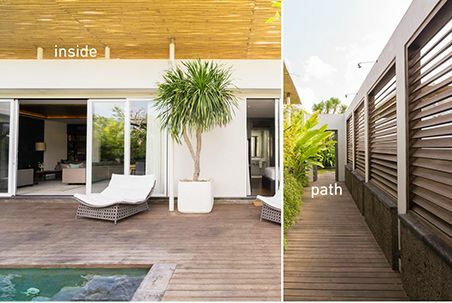 Base on how many bedrooms will be needed of an accommodation, then there will be the 4 bedroom villa Seminyak that you can always try as your best temporary living in Bali. The more of it that you are required, then you must be bringing more people with you. Got a special event that needs to be celebrated in Bali? Heading to Seminyak and enjoy all the beautiful moments await! Even though Seminyak is somewhat the crowded spot for travelers, there are still many of the tranquility villas that are tucked away down a quiet lane where they will only a minute away from the main street and some other minutes to Petitenget beach within easy walking distance. Finding an accommodation at Seminyak will allowing you to experience the peaceful sleeping nights as well as the excitements along with the other tourists around. 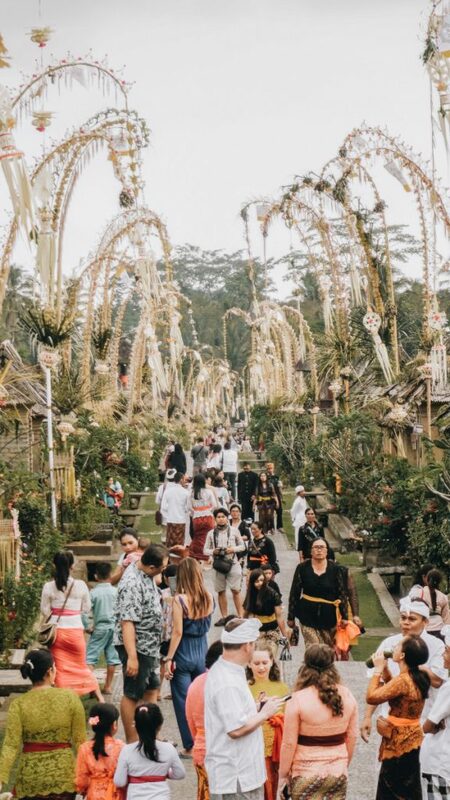 That will be some things that you may won’t find at another village or area in Bali and I am sure that you won’t miss such beautiful things and moments. The 4 bedroom villa at Seminyak itself is certainly presented for the family in vacation or a group of people that will have to stay closer each others. One of the main benefits by living in any kind of villas is that it is promising the tropical Bali living in a contemporary twist. We can’t really getting ourselves out of it especially when you are going to renting the 4 bedroom villa at Seminyak area that is designed for a slow and breezy living. You will also provided with the dedicated team of professional staff to serving you the spectacular services especially when it comes to talk about the language barrier, cleaning services, and the other needs of your personal or your group. Serving you in renting a car if that will be needed, calling for the taxi, dealing with your laundry, getting recommendation to explore the surroundings and many more. Just simply say what you will need, there will be a staff that can helps you with anything. 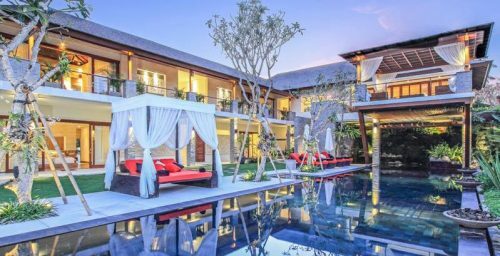 If you are asking me about which 4 bedroom villa Seminyak to be rented with such great services, well designed stay that is promising the wonderful tropical living in Bali, then I would like to presents you about the Hu’u Villas Bali. If you are reading one or some of my previous posts, you may have been known that I have suggested about this villa management couple of times. It is because many of their villas offers are interesting and tempting not to be missed especially when you are the traveler and it will be pretty much affordable for you to pay for one of it. 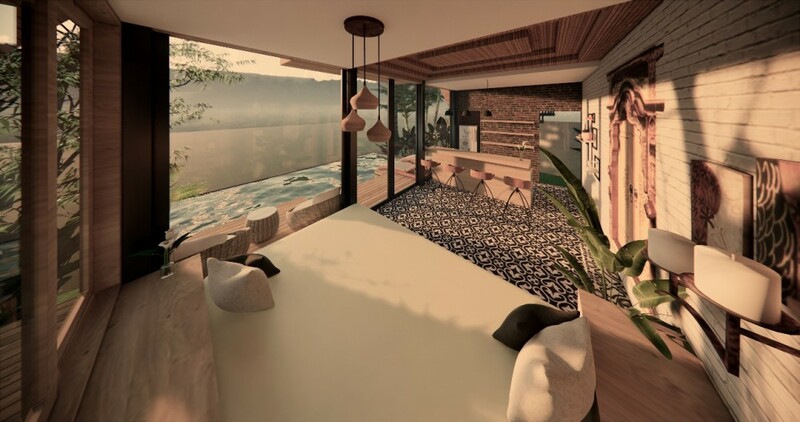 In this 4 bedroom villa, there will be the private pool that you can take advantages of. If you are staying there in a group, you’d better thinking about the small party to be held so your stay will getting more memorable. The villa itself is has its own scenic restaurant within a minute walking from your bedroom, so with the bar called as The Den where you can have a party if you have no idea at all about what to do with your friends. Take it easy! It is the family villas as well so if you are bringing the children, they will have nothing to know about. They are in a sound and safe place so you will be worried nothing. Choosing Seminyak as a location to stay is one good thing you can be considered of while traveling in Bali and renting the 4 bedroom villa at there is always recommended to experience many things in life with your family or friends. If you are agree with me, I hope you are getting the excitements that you are looking for. Bali is a great place to go for a vacation. This is one of the most wanted travel destinations. This place is famous as friendly for even international visitors and that’s why they like visiting this island for many times. However, there are also cultural differences that might shock you. You might as well be prepared for culture especially if you are from the other side of this earth. In Bali, you will feel like a celebrities because people treat you so. The locals likes interacting with international tourists. Thus, you should not be surprised when people flocking you to pose and ask for pictures. This mostly happen when you visit some villages. Sometimes, they just stare at you from afar.it may sound creepy but if you like the attention, just enjoy it. However, it is also fine to refuse if you think you cannot handle anymore. They are friendly and understand if you say no politely. Time also can be confusing culturally. In Bali, time has no absolute meaning. Time in Bali is leisurely stretched. Thus, you should not surprise if the people you are going to meet with turn up late for 60 minutes. It is just normal for them. If they come late, it doesn’t mean they are not interested to meet you. In Bali, you cannot solely rely on spoons and forks to enjoy your meals. You need to rely on your bare hands as well. There are some restaurants that serve food without utensils. When you see people around you, they happily eating with their bare hands and they are totally okay. Just like most of Indonesia people in other regions, they are used to eating without utensils. However, you just have to try it. You will enjoy it in no time because it is fun too. In Bali, people are so friendly that sometime you think they are too clingy. However, they are just friendly and curious about foreigners. They often ask many things include something private. You should not be surprised when they treat you like an old friend even from the first meeting, they will be happily listening to your entire life story with full interest. Basically, they want to know more about you that sometimes they can go overboard. If you are uncomfortable answering more private questions then you can just answer as you can. Remember that it is conversation and not interrogation. The culture is rooted from spiritual balance in Bali. Thus, you may encounter some bizarre things related to their cultures. Balinese still believe in all ghostly things and black magic. You may also find offerings in the street sides. Thus, make sure not to step on them or take them. The offerings are for some spirits and not for tourists. It may look like not a big deal for you but if you do it, people will stare at you in horror. Everyone must agree that wedding is one of the most magical moments in life. It is when two people vow to be each other’s soul for the rest of their life. This is the moment when everything is about love. Thus, this magical moment needs magical setting. Canggu villas wedding is the right thing you can choose for your special moment. Canggu has the best sunset to enjoy. This particular area in Bali is one of the most favorite destinations amongst international and domestic visitors who are seeking for romance. Thus, this place is a great location for you to gather your immediate families and close friends to celebrate your marriage. Arnalaya Beach House offer the best place for you to hold wedding ceremony and after party. This is a luxurious, lovely villa consisted of two floors. Each room has floor-to-ceiling sliding glass door on two walls. Thus, you can always bask in natural sunlight during the day and enjoy the moonlight at night. It is just perfect for romantic event. The front yard is spacious and designed in natural style where you can still find the greens. Everyone in your wedding ceremony and party will be welcomed with the sight of open view of the ocean. Villa the Beji is a great place for families. Thus, you can bring your family and hold your wedding ceremony in this villa. The place is spacious with luscious garden and wonderful pool. The open concept is perfect for your wedding because your guests will be able to enjoy the best sight of Canggu while relaxing around the pool. You also don’t need to book another villa to accommodate your family members because it has 6 bedrooms. Villa Arika has open concept which perfect for your wedding. This spacious and luxurious tropical villas deliver the best view of Bali. Everything you expect from a perfect place is available at this villa. Thus, this one of the best Canggu villas wedding you could ask for. 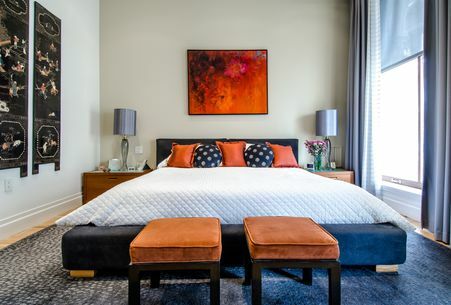 It consist of 4 bedrooms so your immediate family can just rest comfortably without the need to go anywhere. Holding wedding ceremony at this villas can be your best decision because there is nothing you can complain. Everything is perfect. You can even stay longer to spend your honeymoon with your life partner and get the most of your romantic getaway.